Remarks: “As yet another trip with The Monsoon Diaries comes to a close and my own travels start to wind down (I’m going to be back in the states in a week…), I want to take a second to thank this guy for being such an important person in my life. Calvin, you have become one of my best friends over this past year and easily my favourite travel buddy. From when we first met in Russia last New Year’s Eve to these past few weeks in Australia and New Zealand, I’m so glad I’ve gotten to experience so much of the world with you. You never fail to challenge me and remind me the importance of self-love and embracing all the opportunities that life presents because life is short and there’s way too much to do and see in this world. I would never have embarked on this journey around the world if you never came into my life and helped me find the confidence to just do it if for no other reason than I deserve it. I am constantly grateful for your friendship, support, and guidance. Whenever and whenever our next travel adventure takes us, I know it will be epic. “Hiya Calvin! I just wanted to say that your latest post is gold. It’s such a beautiful expression of your truths, which I’m sure so many monsooners resonate with. “When you’re back to reality and suffering from PTD (post travel depression), so you’re looking through your pictures reminiscing… at 12 AM. I feel so blessed and grateful of the beautiful moments I got to experience during the last 3 weeks. I met and made friends with so many wonderful people on this journey. “The Monsoon Diaries is an experience unlike any other. Anything can happen and you are encouraged out of your comfort zone. When you get out of that zone, you find new experiences and opportunities at any moment. Following through with them makes you realize that it was actually a really cool thing you just did. 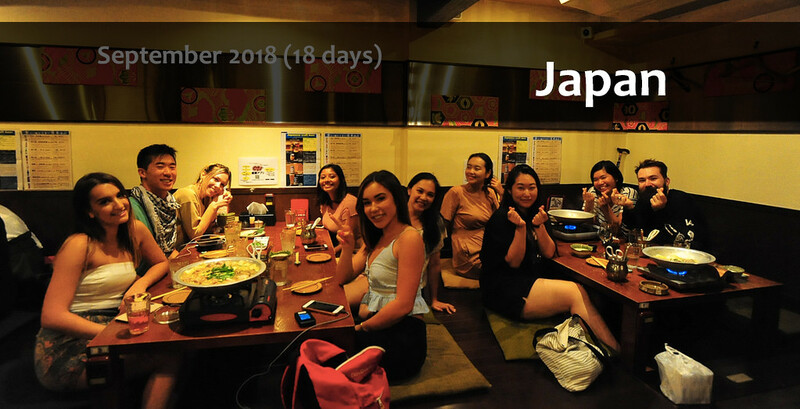 You also get to meet and hang out with many different people from different places and backgrounds. You might end up making some really close friends for life. Thank you Calvin, for all the planning you put into your trips and being a supportive presence (whether you were there physically or not) in those moments when I was taking a leap out of my comfort zone. Those are the experiences I treasure the most. 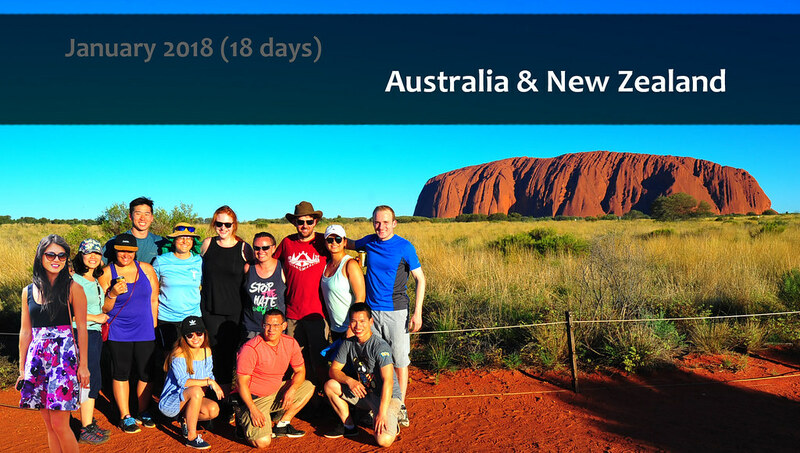 “While I was tour guide in the centre of Australia, I had the good fortune of leading Calvin and his group of Monsooners on a 3 day tour to Uluru. I could not have asked for a greater collection of travellers. They were kind, respectful, entertaining, helpful and genuinely interested in the rich Aboriginal culture we have in the outback. Even when the tour went a little sideways they rallied together and created a memory that I will never forget. This unpredictable trip to Europe is coming to an end soon.. this whole trip has been full of amazing moments, bonding with great great people. It wouldn’t have been that intense if I didn’t meet them.. I felt connected with so many people during this trip. 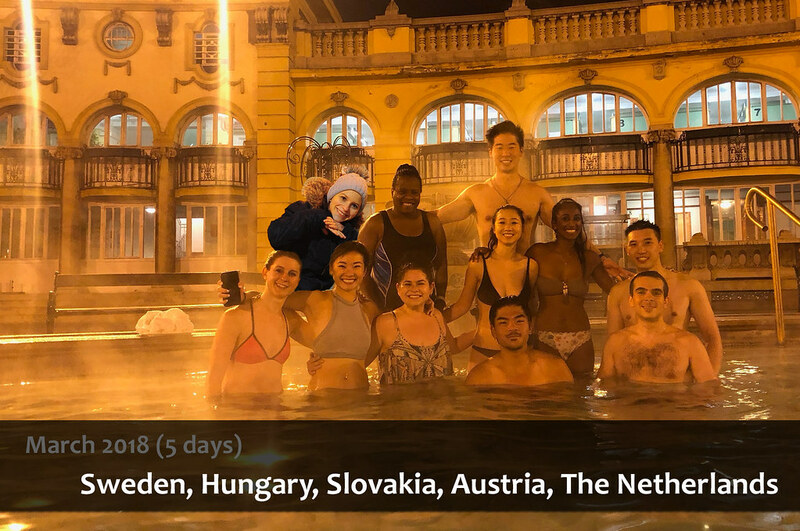 It started with a memorable weekend in Frankfurt, to a unique night in Berlin and continued to Prague – which was amazingly lovely and such joy kept spreading from the trip to Budapest, Slovakia and Austria. “What would be travelling without the people you meet along the way, without the conversations you share and the memories you make. I am lucky enough that I have met up and travelled with the Monsooners a couple of times already. It will not be just an ordinary experience where you tick of the sights of each city. You will get part of the Monsoon family, create lasting relationships and get out of your comfort zone. A friend knew that I dearly needed an adventure and recommended that I read Monsoon Diaries to gather inspiration from world traveler Calvin Sun. What she (and my family) did not expect was for me to book a trip with Calvin less than one month later. I highly recommend traveling with Calvin! He delivered much more than “just” an adventure to Azerbaijan and the contested Nakhchivan Autonomous Republic. Calvin’s travel savvy, life philosophy, and personality have me returning home more relaxed, confident, and travel-hungry than I was one week ago. Even before I left home, Calvin prepared me by providing packing and pre-travel task lists. He was also extremely responsive to my barrage of emails as I prepared. With his guidance, I was surprised how little time it took from the “I’m interested” email to having my bags packed! On the trip, Calvin continued to impress with his meticulous trip planning and travel know-how. Together, we visited places that even some locals did not know about, the most magical of which was Nakhchivan’s Alinja Fortress. Words cannot express the beauty of sitting on a rocky crag, watching the sun set behind an ancient fortress, nestled high above a valley echoing with calls to prayer from the village far below. On a less poetic, but equally important note, I learned a great deal about international travel from Calvin and never once felt unsafe while abroad. Calvin’s flexibility allowed me to join the trip with very little notice, for which I am so thankful. 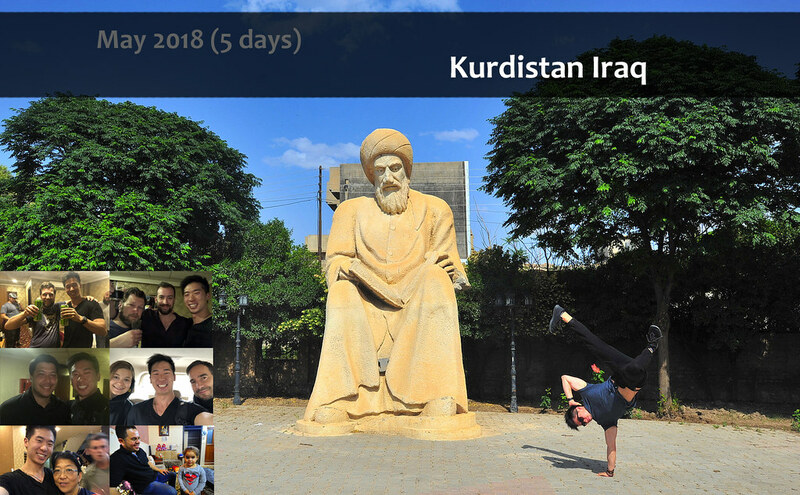 This same flexibility, combined with Calvin’s exuberant, outgoing personality, led us to befriend multiple Azeris within hours of beginning the trip. 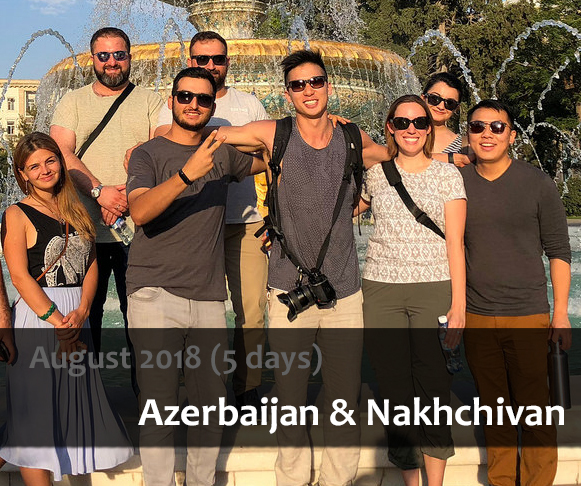 The meals and outings we shared with our new acquaintances allowed me to delve far deeper into Azeri culture (and enjoy much better food and drink!) than I would have on any other guided tour. Overall he seemed like a pretty decent guy. What I encountered surpassed these expectations. 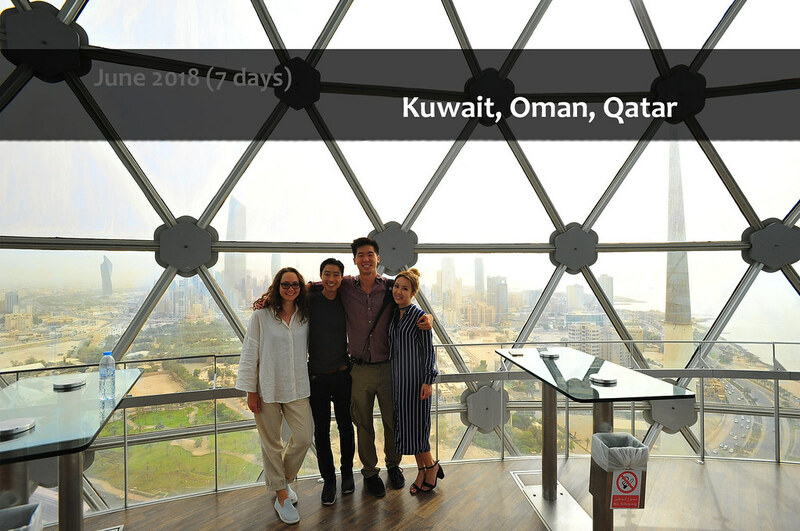 On top of delivering on the above, I encountered a trip with like minded individuals sharing what was to prove a remarkable experience in a remarkable country. For many a traveller who prefers solo travel, there are times when you would prefer to give the sometimes rigorous amounts of organisation a break, whilst avoiding the cookie cutter approach of a tour or sometimes having to acquiesce to an itinerary planned out by friends that might not match your preferences. “I highly recommend monsoon for those looking for adventures or interesting destinations and open to meet new people/friends but don’t have time to plan. As a friend, I knew Calvin is good at organizing and planning. It proved me right and he’s also good at taking care of what we needed throughout the trip. We had good rest and spent our time super efficiently to see and do things. I also think it’s a great idea to have an experienced traveler to lead the trip for lots of reasons. For one, I wouldn’t know that we could request flight refund when our returning flight delayed for 8 hours if he didn’t tell us. (The delay was actually a good news to us because we got more time to explore Kiev). “As someone who has been the planner and leader of every trip, it was refreshing to finally go on a trip where I didn’t have to plan. Calvin is a meticulous planner who made sure that all my needs were met throughout the trip, physically and emotionally. In addition to be meticulous, he is also easy to connect with. I was able to be myself the whole time (and I can get pretty annoying with childish jokes). He was the “dad” of the group and made sure his kids got along. 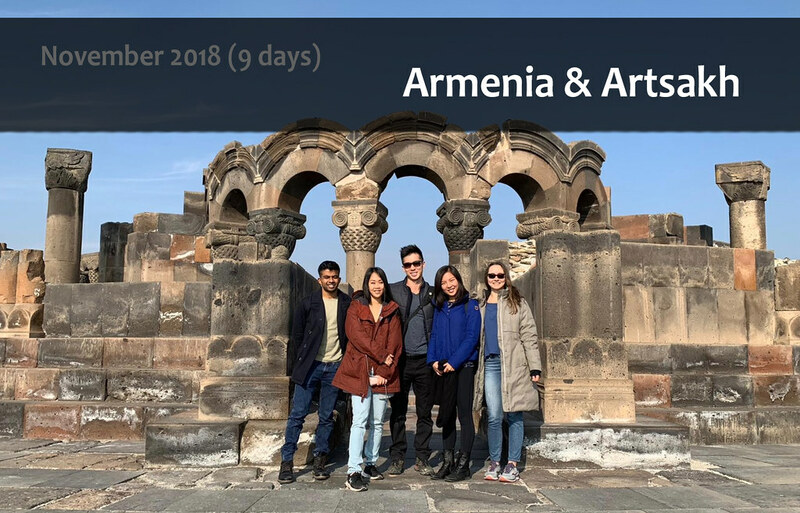 I met some of the most genuine people through our trip in Armenia. As travelers together, we got to know each other. These are people I will never forget Sheryl JiaEr Zhang, Mihaela Kristmas, and Nishant Anandan and will most likely chill with again. Through experience, I know how travel can be stressful, cause the best of us to lose patience or get overwhelmed. On this trip, Calvin made sure that this never happened. He constantly asked us for our input (e.g. “would you like to explore kiev at night?” “would you rather walk or uber?”). Calvin took us to some awesome thrilling spots such the war zone between Armenia and Azerbaijan. He made sure we were well provisioned (e.g. food, water) and found the right people (e.g. Suzanna) to lead us about. There were never any surprises on this trip (except finding my birthday twin Sheryl haha). Calvin made sure I was informed every step of the way. It’s [also] my first day back in the office and I already plan to go to his Sept 2019 Greenland/Iceland trip.